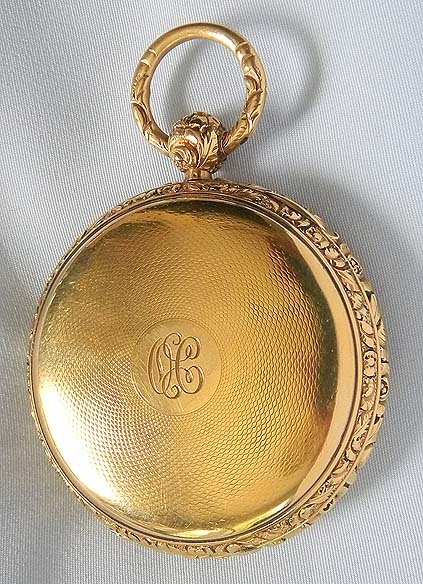 Fine and very heavy 18K gold English lever and fusee antique pocket watch by Johnson, Liverpool, circa 1830. 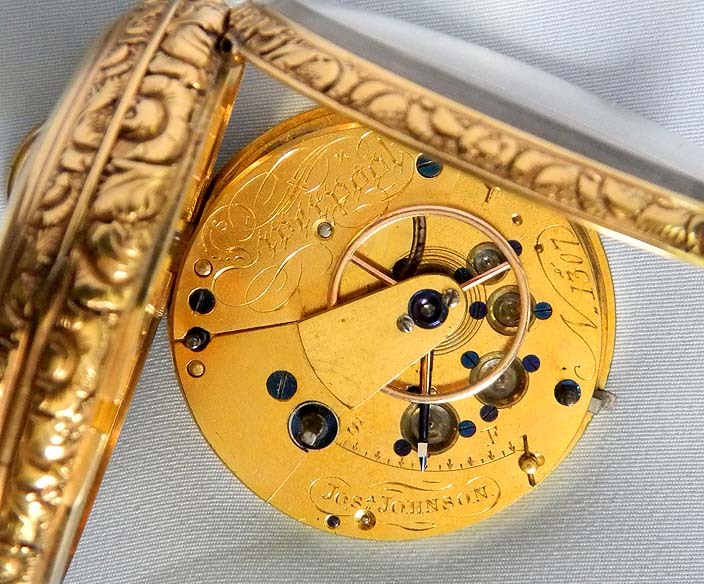 Superb multi-colored gold dial with applied numbers and decorations against an engine turned background. Fancy blued steel hands. 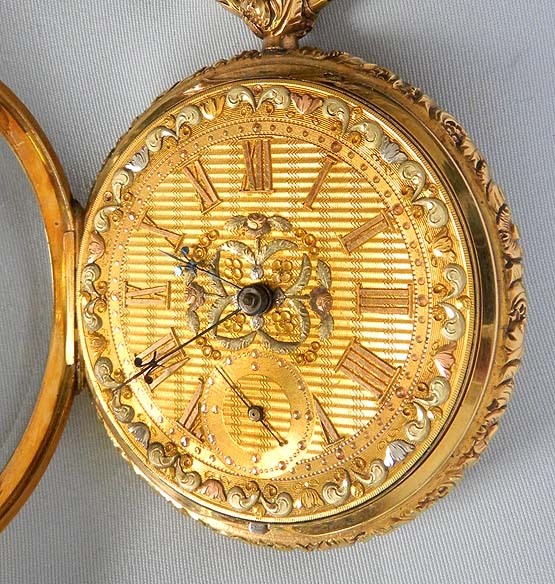 The case with cast and chased bezels, pendant and bow. 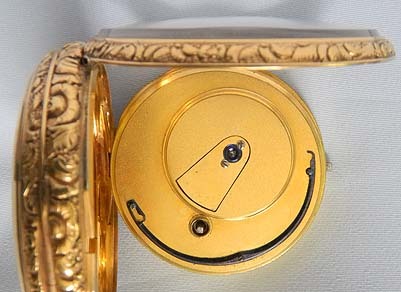 Engine turned back with edge wear. 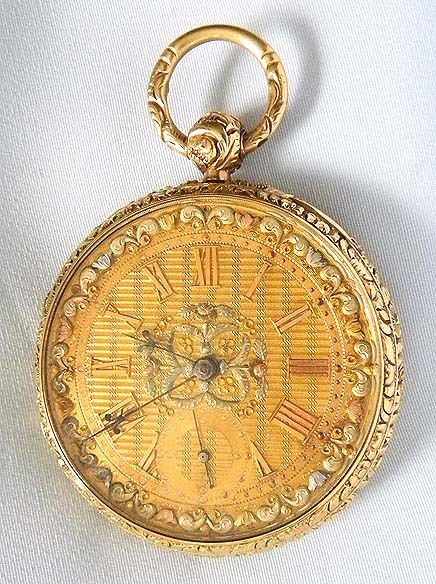 Fine gilt full plate 13 jewel movement with screwed "Liverpool Windows" and diamond cap jewel.